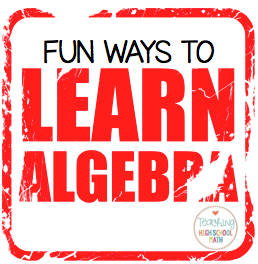 Algebra One - where it all begins! 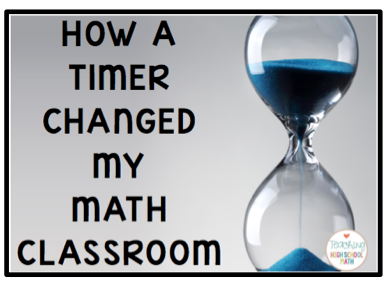 Kids as young as 6th or 7th grade are in this course - they are still little :) They still are willing to have fun in math class - and hey let's face it - even those of us who have kids in 9th or 10th grade taking Algebra - we need a fun activity every once in awhile. So what can we do? 1) Have students practice the skill you are working on within a maze. They will go back to their earlier childhood and remember the fun they had working mazes - and you can sneak in the practice! The content of this post may seem obvious to some of you, but to others that haven't tried using a timer before, I invite you to try it...I bet you will love it. I often have my class work in groups...sometimes they are working on task cards, sometimes a review sheet, sometimes talking about a couple of problems. But group work sometimes ends up in a black hole - some groups finish and are really focused, some groups work well together naturally, but other groups end up talking about things other than the math assignment!